Lisdoonvarna is located in North County Clare in the heart of the Burren. The name is derived from “Lios Duin Bhearna” which translates into “a gap in the fort enclosure” and the town developed around the spa for which it is so famous for. There are a number of ancient and historic sites in the area which is evidence of early human habitation and activity in the area years before the establishment of the town itself. There are a number of ring forts in the area that date back to the Iron Age and unto late medieval times. The Lisdoonvarna Bronze Pot was found at at Aughiska Beg about five hundred yards from the sulphur well. The village of Lisdoonvarna is famous for it’s music and it’s festival. It is also a great spot for visiting the Burren National Park. It is undoubtably known for it’s match making festival in September and is one of Europes largest singles match making festivals. Contact Galway Chauffeurs To Discuss A Visit to Lisdoonvarna! 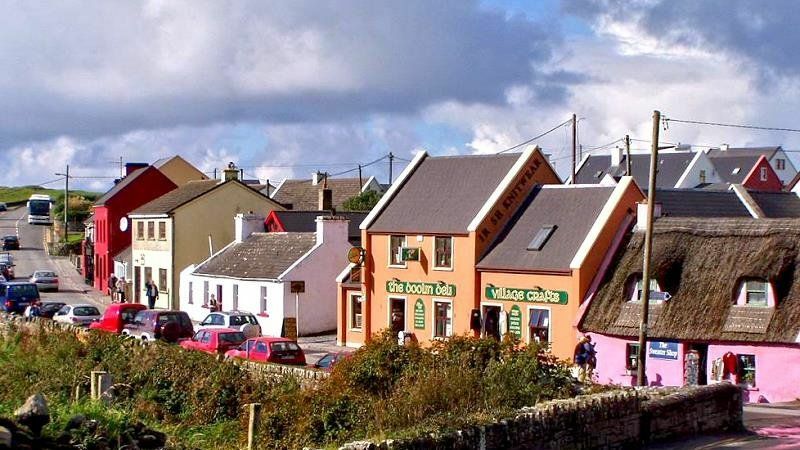 Lisdoonvarna like many Irish villages has a number of pubs and has a great selection of hotels and guest houses. The village is renowned for it’s Victorian Spa Complex and Health Centre. The Spas boasts therapeutic mineral waters of sulphur, magnesium and iron that has been dispensed since the 1700’s where the pungent smelling sulphuric water is served hot and cold. There is an illuminated well where the source of the water can be seen. There is also a famous smokehouse known simply as the Burren Smokehouse which is the home of smoked salmon from Irish waters – it is open all year around and offers tastings of their award winning Burren Smoke Salmon.